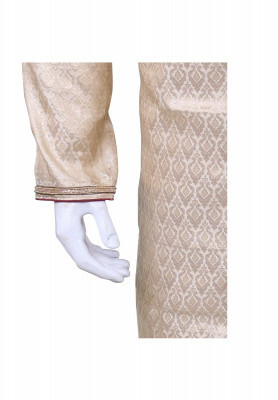 Golden colored Indian Sherwani made of Velvet fabric. Comes with brilliant stone and karchupi work on the collar and sleeves. 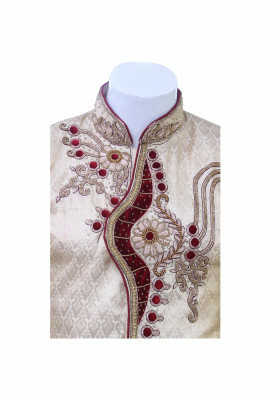 Nice fittings an design have made this Sherwani a great choice for wearing on wedding reception ceremonies. 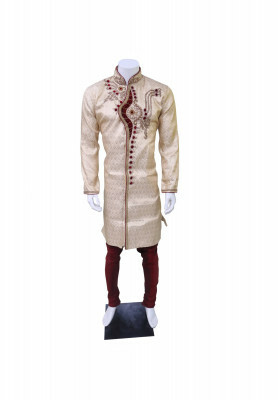 Pajama is also available with this Sherwani. Price is quite affordable. Home delivery is available too.